The phrase degenerative disc disease (DDD) has been met with much criticism. It isn’t really a disease, but rather a naturally occurring process of degeneration that discs undergo over time. Each disc has a tough outer wall called the annulus fibrosus and a jelly like center known as the nucleus pulposus. 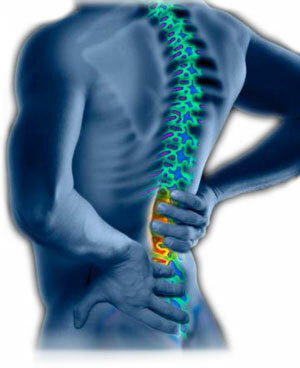 The discs act as the spine’s shock absorbers between the vertebral bones in the neck and back. As we age, discs began to lose fluid, weaken, and become less pliable. A herniated disc can occur if the outer wall weakens enough to crack or tear open allowing the inner contents to seep out into the spinal canal. So how does smoking aggravate disc degeneration? Smoking cigarettes and other forms of tobacco release nicotine into the body. The nicotine inhibits the discs from getting the proper oxygen and nutrients they need to stay healthy. As the discs become more and more malnourished, they become less pliable, and are at greater risk of rupture. In addition, smoking releases carbon monoxide into the tissues which interferes with the absorption of calcium leading to a compromised vertebral structure. Treatment for DDD and disc ruptures range from doing nothing to major surgery. Anyone who is still smoking by the time of surgery is strongly advised to quit smoking. Smoking impedes new bone growth, which is instrumental in the success of spinal fusion. Researchers have determined that nicotine is a bone toxin and as a result, the failure rate for many types of fusions can be 3-4 times higher for smokers. More research is being done to evaluate the relationship between smoking and DDD, but there is sufficient evidence already to suggest that quitting smoking now may reduce the risk of developing or exacerbating DDD.